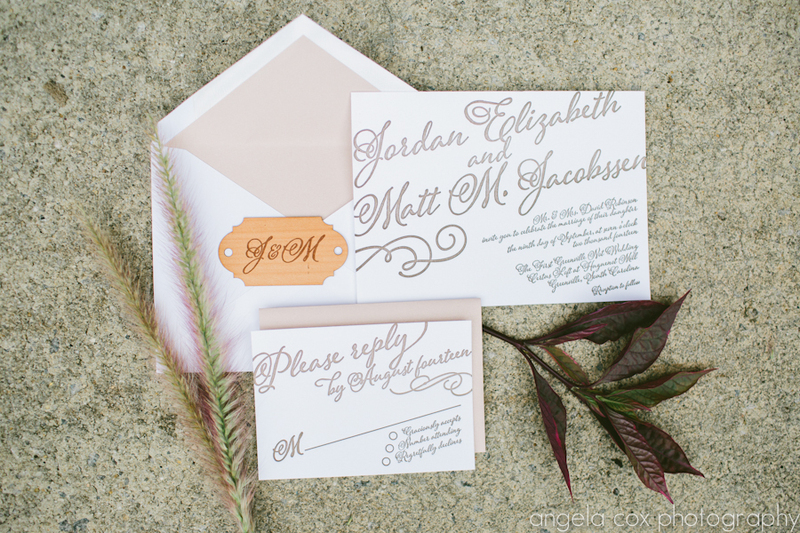 We have a new calligraphy style letterpress wedding invitation now available in our Etsy shop! 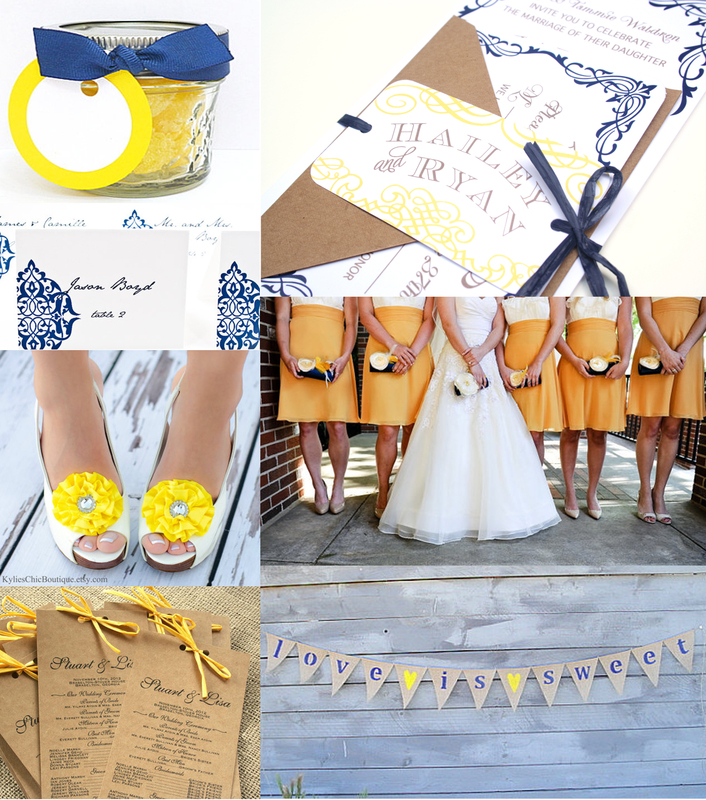 This design can be customized with your wedding colors and words. Please see details and information on pricing here. 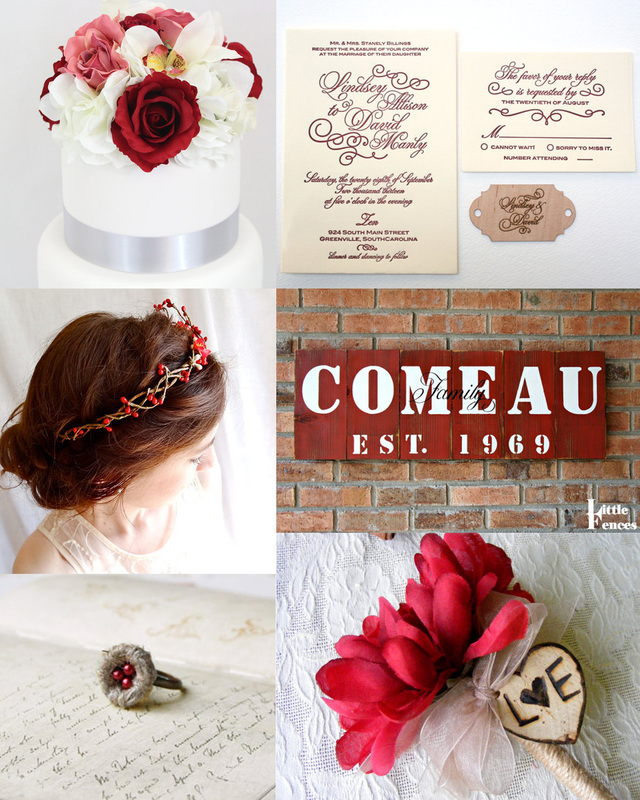 Here at Sofia Invitations and Prints, we try to make a nice range of rustic, modern, vintage inspired, and elegantly classic invitations. 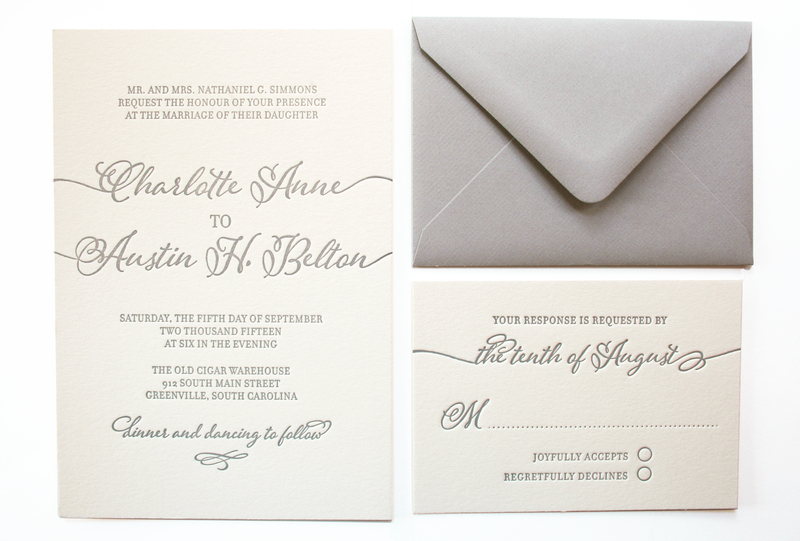 Here is one of our favorites: it is certainly timeless and elegant, with a modern twist. 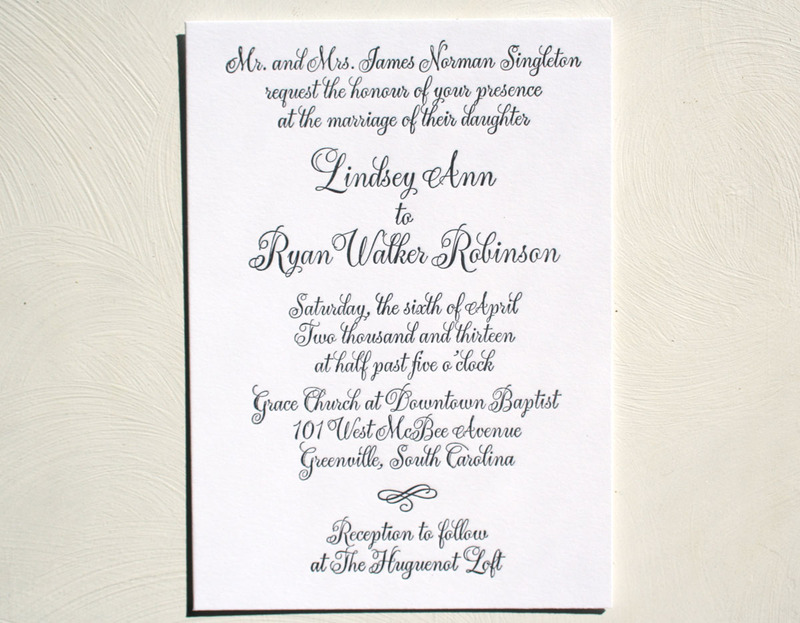 Seen here printed in classic black on a luxurious white paper stock, this design can also be printed in any color to match your wedding. 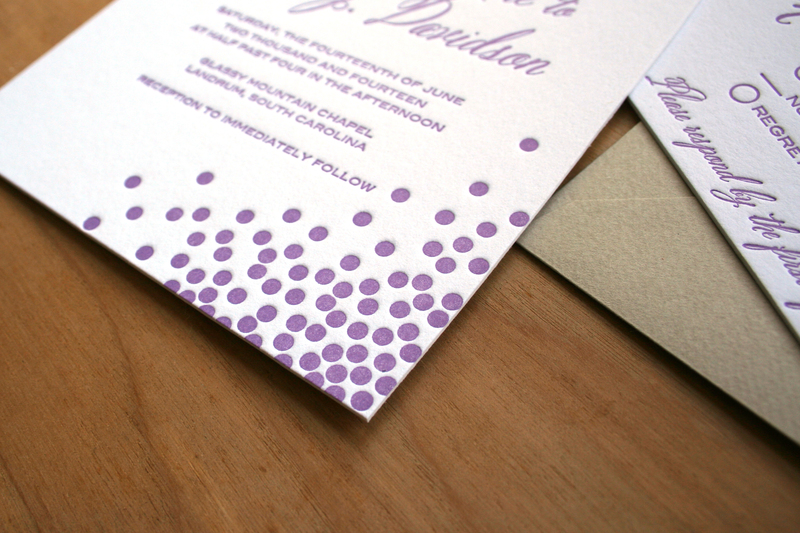 Letterpress printing is the finest printing method available today, perfect for your special day! See more images of this design as well as pricing information in the Sofia Invitations Etsy shop here. As you may know, radiant orchid is the 2014 pantone color of the year. I am a big fan of purple for weddings, and there are so many beautiful shades of purple. 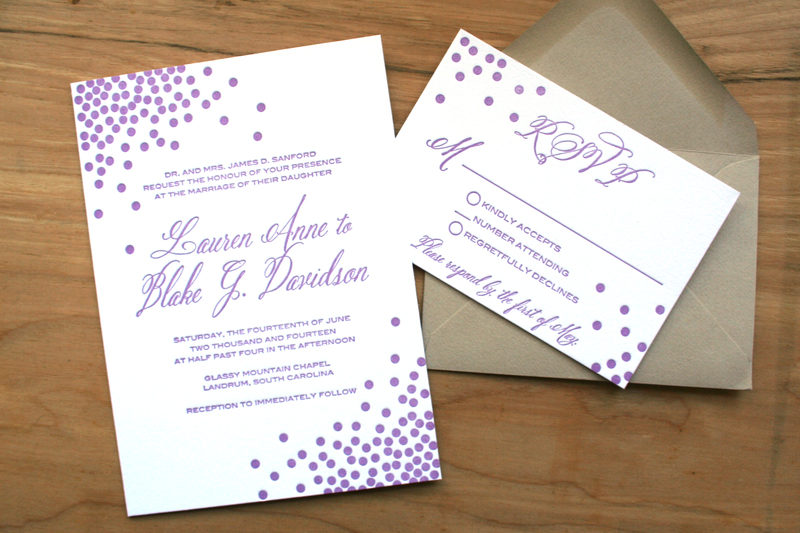 Here is a new letterpress invitation design, a purple confetti and modern calligraphy invitation, fresh in the Sofia Invitations and Prints etsy shop. We can, of course, print this in any other color too! Review more information about this design here.